This Sanctuary is situated at an altitude of 1,400 mts in the Western Ghats near Pollachi (about 90 Kms from Coimbatore). The area of the sanctuary is 958 sq.kms. It has various kinds of fauna like elephant, gaur, tiger, panther, sloth-bear, deer, wild bear, wild dog, porcupine, flying squirrel, jackal, pangolin, civet cat and birds like rocket-tailed drongo, red-whiskered bulbul, black headed oriole, tree pie, spotted dove, green pigeon, etc. 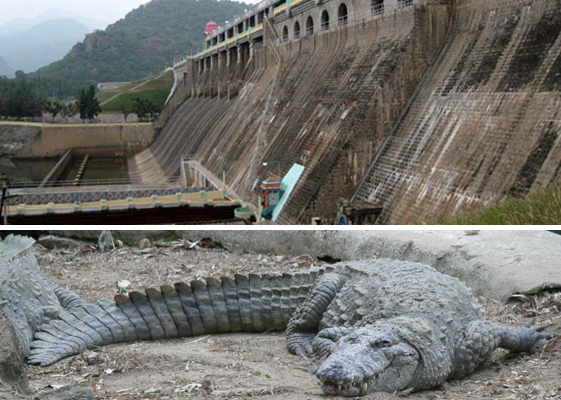 The Amaravathy reservoir in the Anamalai has a large number of crocodiles. There are also many places of scenic beauty such as Karainshola, Anaikunthiashola, grass hills, waterfalls, groves, teak forests, estates, dams and reservoirs. It is a picturesque location in the Anamalai Hills. It is about 37 kms from Pollachi. This small town is an ideal picnic spot. 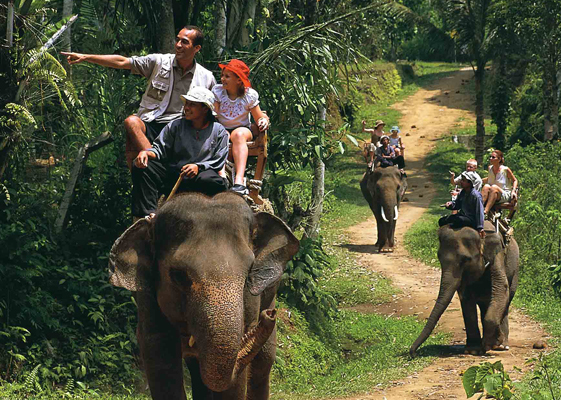 Arrangements are available at Topslip to take tourists around the Sanctuary on elephant back or by van. Top Slip is a national park and a medical plant conservation area in Annamalai hills. 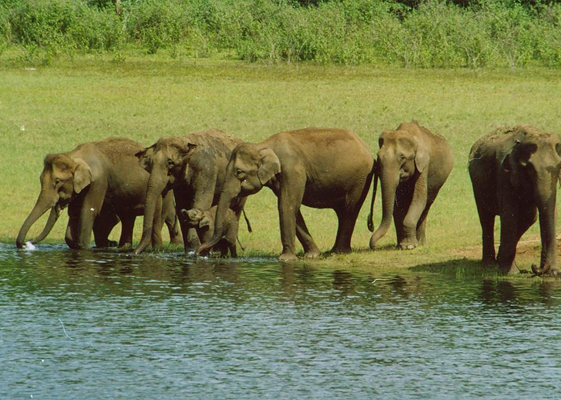 It is famous for its elephant camp and its wildlife at Kollikamuthi. It got its name during British era, as lots of its timber sliped down to the plains below. For thrill seekers accommodation is also available in a tree house. There are bungalows available within the Sanctuary in order to view natural sceneries and its wildlife. It is about 30 km from Valparai town. It is one of the longest dam in Asia. The length of the dam measures about 6-7 km. It lies in the border of Tamilnadu and Kerala. This dam is constructed in Chalakudy river. 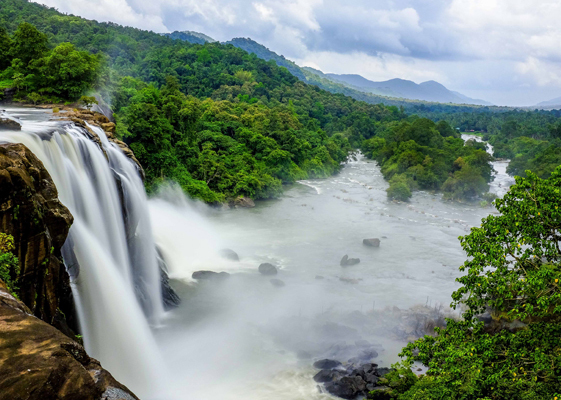 The beauty of Athirappilly water falls and Sholayar dam can be enjoyed on the way to Sholayar. Special permission must be sought to visit this place. Hydro Electric plant at Kadamparai between Pollachi and Valparai is most worth seeing.Many wild species are found frequently in this region. It’s speciality lies in the fact that it is carved out within a single rock, which gives an astonishing view. 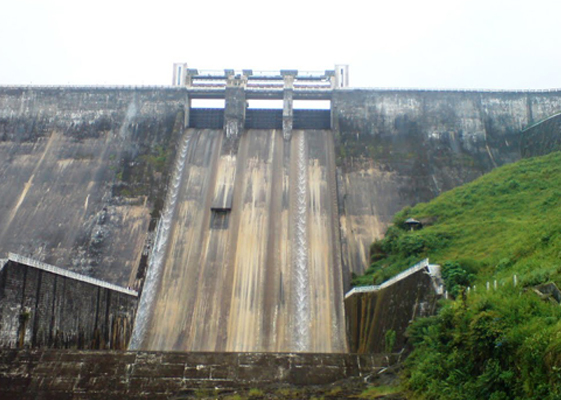 Aliyar Dam was constructed in 1962 across the Aliyar river. It is located about 65 Km from Coimbatore and it is found on the foothills of Valparai. 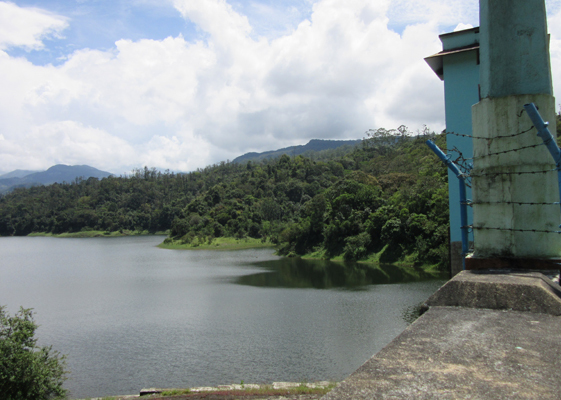 Here, Aliyar lake receives water from upper aliyar reservoir through hydro-electric power station in Navamali and the Parambikulam reservoir through a contour canal. Near Aliyar dam, a good-looking park, an aquarium and a mini theme park is being maintained by Tamilnadu Fisheries Corporation. Ambarambalayam Darga is situated at the banks of the river Aliyar. It is situated 50 Kms from Pollachi and 20 kms from Udumalpet on the highway from Palani to Coimbatore. Thirumoorthy temple is situated at the foot of the hill adjacent to Thirumoorthy Dam. Importance of this temple is three Moorthy Idols originate in same place. 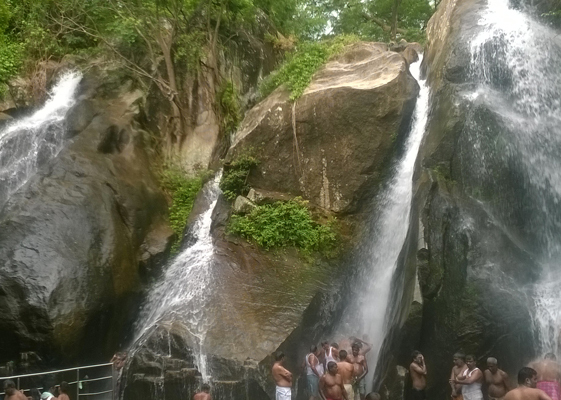 A perennial stream flows by the side of Sri Amaralingeswarar temple and nearby there is Thirumoorthy falls. It is also believed that a few years ago Athari Maharishi along with his wife Anushiya devi lived here. Progressed by their prayer, Lord Shiva together with Brammah and Thiru Moorthigal(Vishnu) came in disguise to test their devotion. Beleaguered by their appearance the couple offered them tribute. The Thiru Moorthigal refused to accept their offerings as such and demanded that the offering should be made by Anushiya devi in State of undress. She accepted their demand and with her power of devotion she changed Thiru Moorthi's into 3 years old babies and fed them. On seeing the power of devoting Anushiya devi, the Thiru Moorthi's blessed the couple and hence the place is known as Thiru Moorthi hills. This particular falls has been featured in numerous films and advertisements. 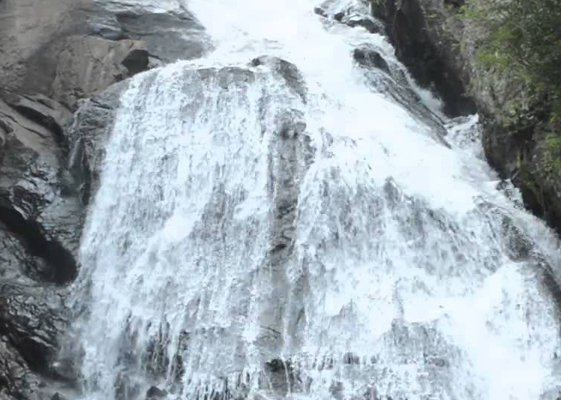 It is also called as ‘Punnagai Mannan Falls’, since this falls have been featured in Tamil film ‘Punnagai Mannan’. It is about 35 km from Sholaiyar. Totally, it gives us mystic natural scenery on the way to Athirampalli Falls and Sholaiyar. Chinnakallar is geographically an important place. It is about 26 km east of Valparai. It is known as Cherrapunji of Tamil Nadu. It is the second place in receiving maximum rainfall next to Cherrapunji. The hanging bridge is built across the falls is full of enchantment and thrill. This area always found wet and misty. Chinnakallar is full of greenish dense forest with tall majestic trees which gives a pleasant nature. It has the falls which sounds like a roaring lion. 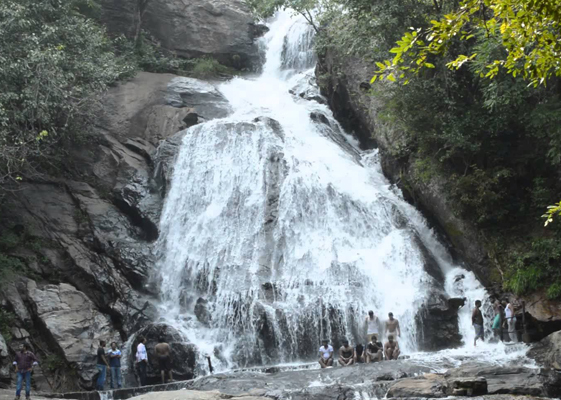 Rhythm falls is about 30 km from Sholaiyar and 5 km ahead of Athirampally falls. Water droplets from the falls scattering on adjoining road gives an excitement show. The steep Amaravathy dam across the river amaravathy is 25 Kms from Thirumoorthy Dam. 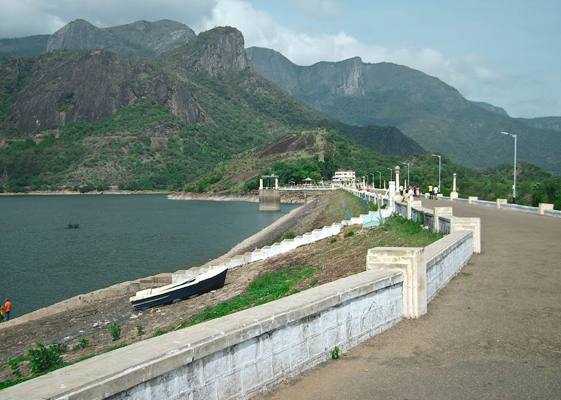 There is a well laid-out park where one may climb the steep steps on the dam to have picturesque view north of the plains below and south to the Annamalai Hills and Palani Hills above. It is being developed as a district excursion center for tourism. The Amaravathy Sagar Crocodile Farm, established in 1975, the largest Crocodile nursery in India is nearby. Many Crocodiles of all sizes can be seen basking in the sun and suddenly making a stride or piled up on one another. Eggs are collected from wild nests along the perimeter of the reservoir to be hatched and reared at the Farm. Many adult crocodiles have been reintroduced from here into the wild. Valparai is one of the attractive scenic tourist spots in Tamil Nadu. 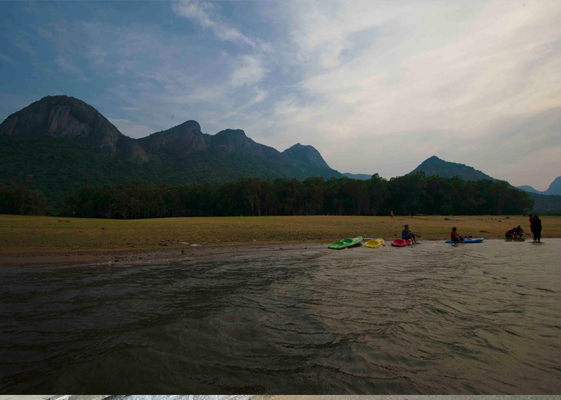 It is located above 3,500 feet from the sea level on the Annamalai mountain range. It is a town located on the western ghats, 105 km away from Coimbatore. In Valparai, there are several tea and coffee estates, dams, water falls and 15 tea factories. 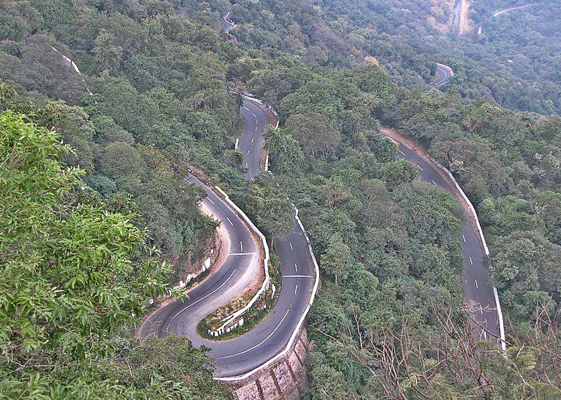 Valparai totally gives us a wonderful natural scenery, which stands majestically with forest all around. 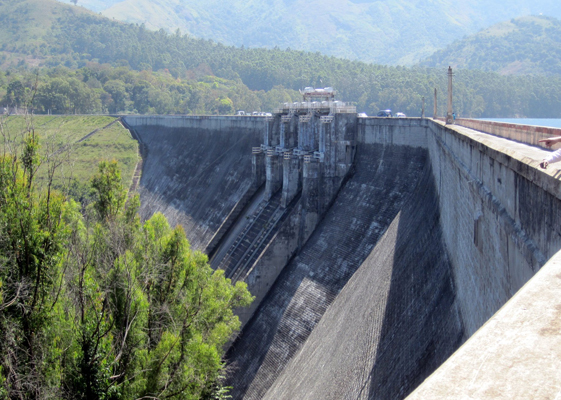 Sholayar Dam in Valparai is a fantastic dam to watch. Other important places to visit around Valparai are Balaji temple, Puncha Mugha Vinayagar Koil and spread across tea estates.